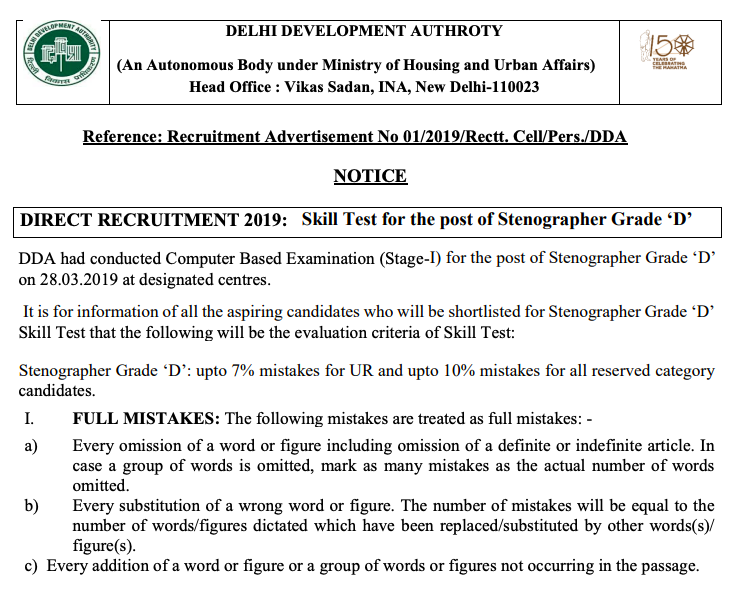 DDA had conducted Computer Based Examination (Stage-I) for the post of Stenographer Grade ‘D’ on 28.03.2019 at designated centres. a) Every omission of a word or figure including omission of a definite or indefinite article. In case a group of words is omitted, mark as many mistakes as the actual number of words omitted. b) Every substitution of a wrong word or figure. 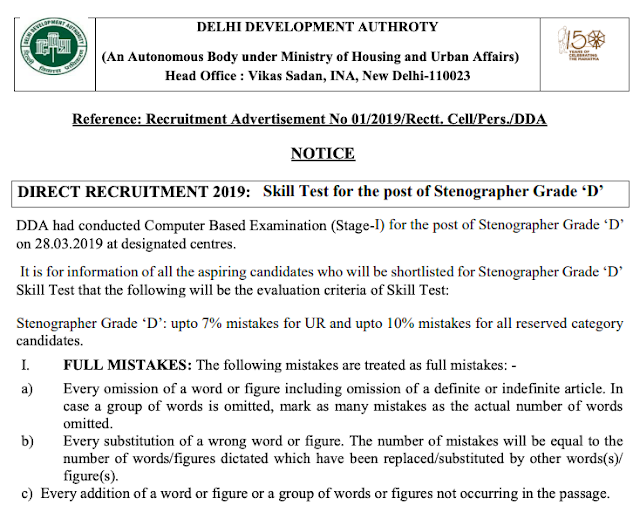 The number of mistakes will be equal to the number of words/figures dictated which have been replaced/substituted by other words(s)/ figure(s). c) Every addition of a word or figure or a group of words or figures not occurring in the passage. a) Mis-spelling, including transposition of letters in a word and also omission of a letter or letters from a word. However, mis-spelling of proper nouns and unfamiliar names are ignored. b) Using singular for plural noun and vice versa. c) Wrong use of capital or small letters at the beginning of the sentence.